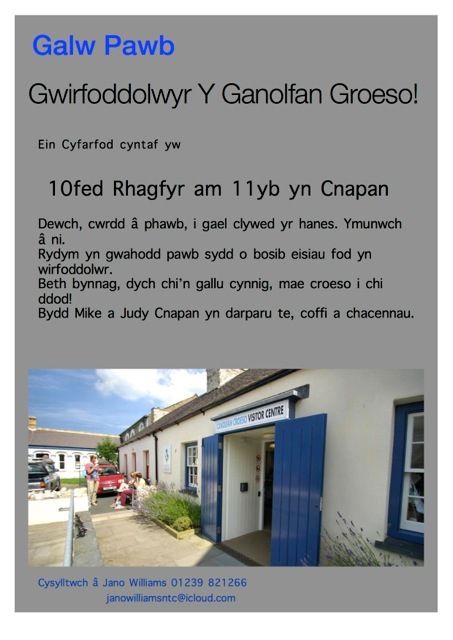 Latest News on "Canolfan Croeso Welcome Centre"
Visitor Centre Volunteers - meet up and enjoy coffee and cakes! 2-5pm on Thursday 28th February 2019. The building has now officially been handed over to Newport Council and the building work has started. Once it is completed it will be ready for the Library to move in. The Enhancing Pembrokeshire Grant has been agreed and now we have to try and keep within the budget! Even if you didn't express an interest you can still volunteer. Don't worry if you can only give a little time and it's great if you want to be more involved. 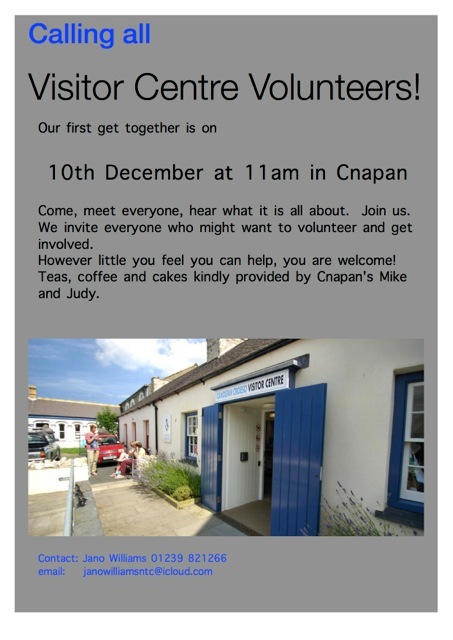 We need a strong team to make this Visitor Centre a success. 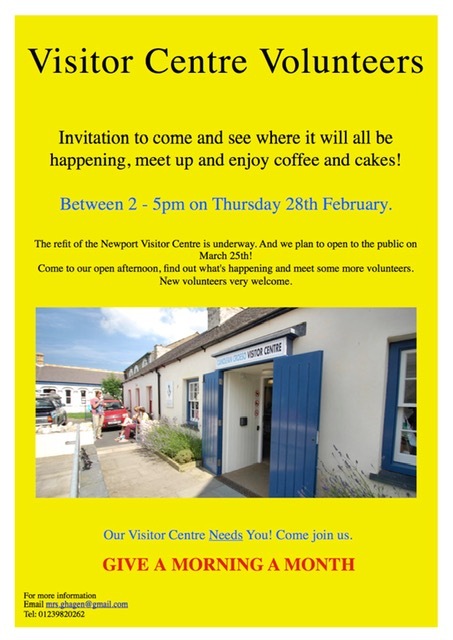 This project is very important for Newport and you can play a part in making it happen. Please share this with as many people as you can. Thank you. We shall be starting that work as soon as the handover happens. We shall also be putting up units and shelves and decorating ready for the Library and Visitor Centre. In the middle of all this we suddenly realised that the Public Service Broadband system would be removed by PCNPA and then, in order for the PCC to link to the Library in its new premises, it would need to be reinstalled at great cost and importantly delay. Thankfully both authorities have agreed that the system will be left in place and the transfer process is ongoing.